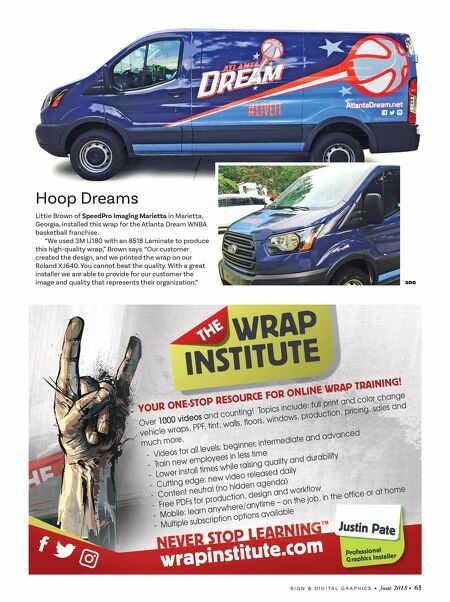 S I G N & D I G I T A L G R A P H I C S • June 2018 • 61 SDG Hoop Dreams Littie Brown of SpeedPro Imaging Marietta in Marietta, Georgia, installed this wrap for the Atlanta Dream WNBA basketball franchise. "We used 3M IJ180 with an 8518 Laminate to produce this high-quality wrap," Brown says. 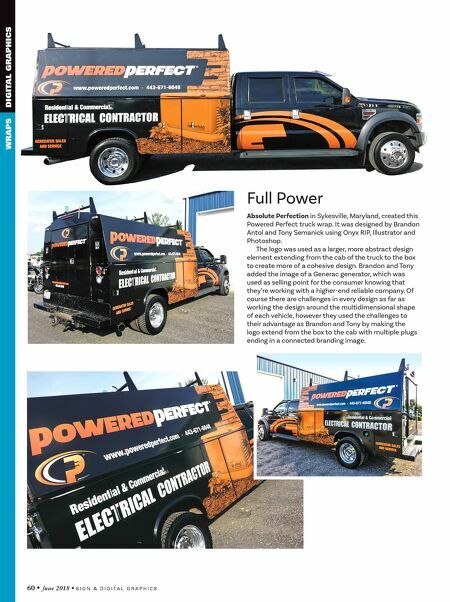 "Our customer created the design, and we printed the wrap on our Roland XJ640. You cannot beat the quality. With a great installer we are able to provide for our customer the image and quality that represents their organization."